The Spanish is emerging as a candidate to break the hegemony of the Northern Ireland and will live a second youth, which will return to fight for the victories. Awakening someone's interest usually generates rejection when the intentions are not reciprocal. And something very similar was what happened to Alvaro Bautista before the proposal to disembark in Superbikes. But sometimes it's time to give in. The one in Talavera was tested by Ducati to enter to form part of a World Championship in which he would gain a leading role that, until the time of his retirement, was not recognized in MotoGP. But the 'yes I want' was not pronounced convincingly until the options were exhausted in the maximum displacement. The decision was slow to arrive but Borgo Panigale still waiting for him. The train only passes once and when Bautista decided to get on it, he was still parked on the platform. It was his moment. He knew when he had to leave and is now one of the favorites in the conquest of the title. El championship has a king of kings. Jonathan Rea has become the owner of the asphalt on the Kawasaki after winning the last four titles consecutively, and is looking for a rival at the height that can dethrone him. The hopes go through Álvaro. In Ducati they are convinced that Rea is not unbeatable and the Spanish is his bet to break with the hegemony imposed by the Northern Ireland. The one from Talavera is motivated. Increasingly. The results he has obtained during the preseason, where he finished the last tests in the fourth position half a second behind the reference and as the first Ducati, make him dream again with victory. The B side of the coin is that the name that stood at the top was the opponent to beat. But with his times, Bautista made it clear that he wants to give of what to talk about in a World Cup, where he will live his second youth. The ambition to win marks the trajectory of a pilot and Bautista, still hungry for victories. 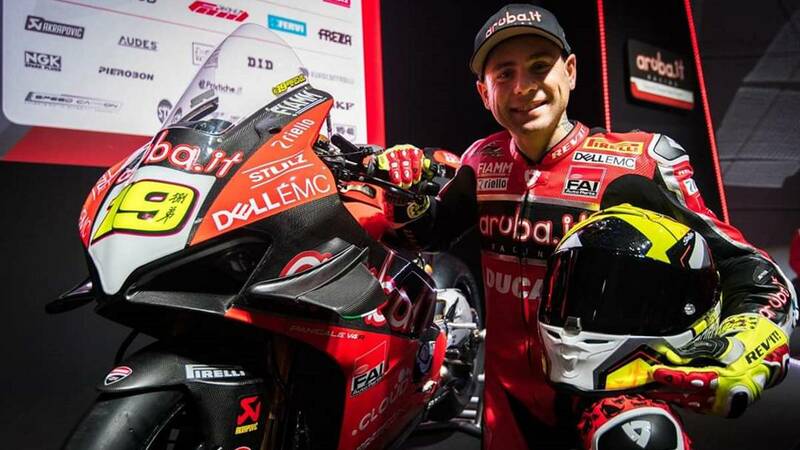 The aspirations that they have in Ducati with the V4R, a motorcycle in which for their development has been made use of what they learned in MotoGP, is their main trick to return to savor the triumph. Together with those of Bologna he faces two very different projects with one aspect in common: the displacement, 1000cc. The prestige gained during his MotoGP career has meant that from the Italian factory also trust him as the man who can to influence that the Desmosedici is the most competitive bike on the grid and Spanish, wants to be in charge of getting Dovizioso or Petrucci can finally win the title of the maximum displacement. Previous upon arrival at Superbikes, the Talavera, who replaced Lorenzo on the official Desmosedici when the Spaniard was injured in Burinam, considered it ironic to be an official pilot of the Borgo Panigale and not have a seat in the queen class. Perhaps he was not aware that this gift he made the Italian factory was the way in which from Bologna they tried to strengthen their relationship and confirm their arrival at Superbikes. But after the doubts, calm arrived. Bautista has become the spearhead of Borgo Panigale in this new journey. The expectation continues to grow around him and aware of it, Talavera hopes to return on the track all the confidence that has been deposited in him out of it. The passion is to run, but the victory feeds that instinct of speed with which it will try to put an end to the dominion of one of the best Superbike riders of all history.